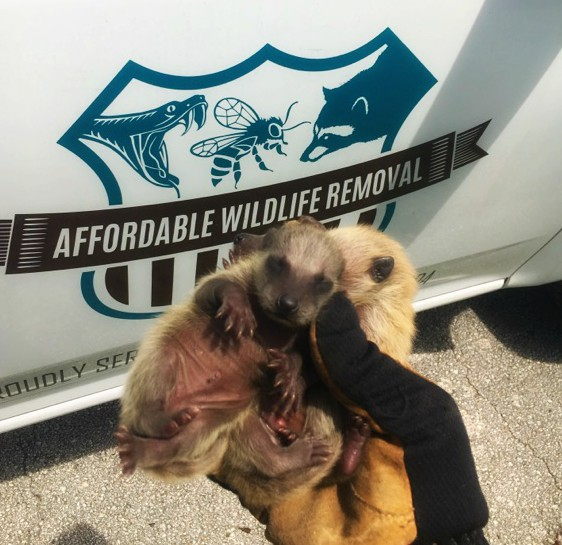 At Affordable Wildlife Removal, we can help you avoid costly damage to your property and prevent the transfer of disease by providing effective animal control services. 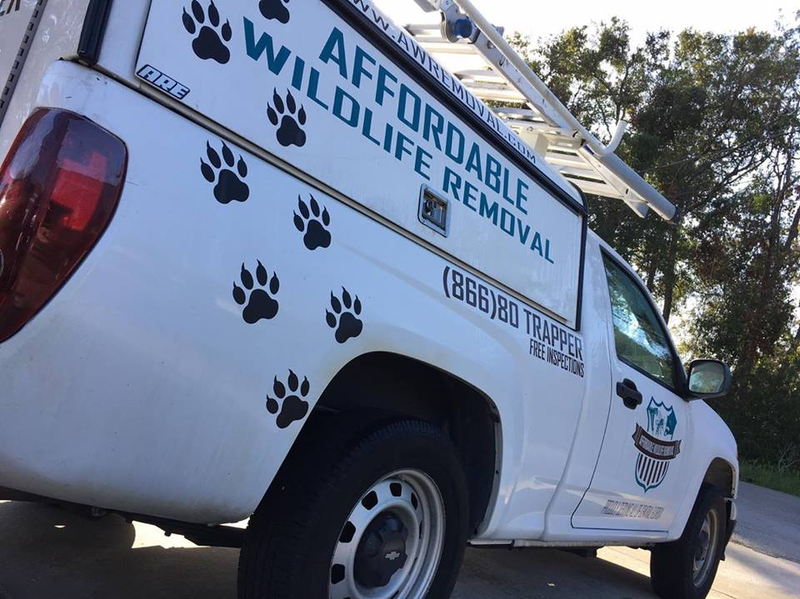 Affordable Wildlife Removal provides assistance with animal nuisances at all hours of the day and night. 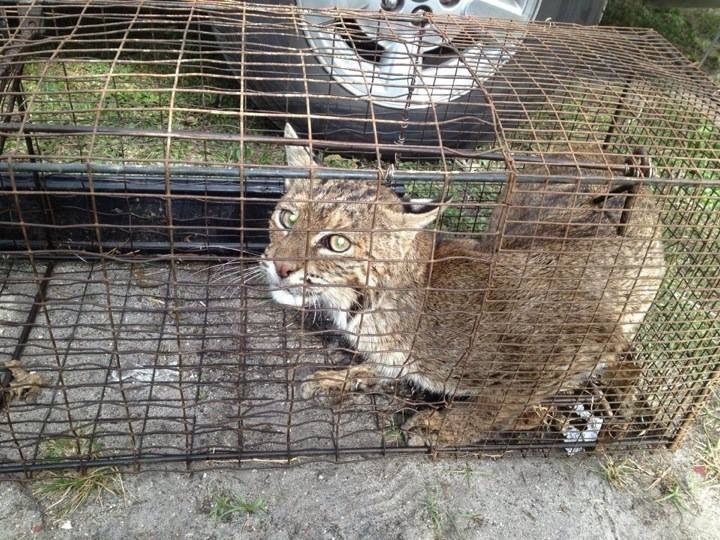 We trap, remove, and relocate wildlife humanely, following Florida law and procedure, with affordable rates and no hidden fees. 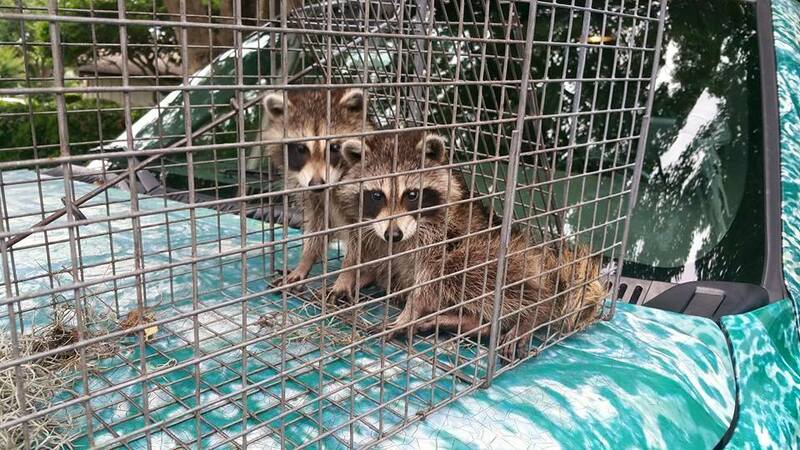 We offer customized plans to match your individual issue and execute trapping techniques for specific animals and situations. Only sick, invasive, and/or rabid animals are euthanized, in a humane manner following the correct guidelines in accordance with the state. Raccoons are excellent climbers, and use our dwellings in search of food and shelter. Raccoons are messy and dangerous. #1 carrier of the rabies virus on the East coast. Can carry Canine Distemper, an often fatal disease of dogs. Rats are classified as a pest species. Common complaints about rats are infesting attics, scratching walls, raiding food sources, and gnawing on electrical. However, the most significant issue are the health risks. Once rats begin nesting, they usually stay, which is why trapping is the most effective of ridding an establishment of these nuisances. Rats constant chewing and gnawing create fire hazards, and their urine and feces can spread diseases and cause respiratory issues. DISEASES CARRIED: NONE HARMFUL TO HUMANS. The danger of ducks is the feces left behind. Feces and urine in an attic can cause respiratory problems. They often defecate on docks, pools, pool decks, and sidewalks. Because of the health risks ducks can cause this can be an overwhelming amount of mess to clean every day. Usually if there is a duck or ducks in an attic it is a Muscovy duck. If one is bitten by a this animal there is no need to worry, their bite is not life threatening. Moles are destructive! They love to dig through yards and eat various plants under ground. They can and will destroy yards, lawns, and gardens in very little time. Moles can carry rabies, but it is very rare. Feral cats usually occupy places in high numbers. They often fight and spray, posing threats to domesticated pets. They rummage through garbage, carry fleas, and can possibly spread diseases and parasites. Squirrels are apart of the rat family, and this family loves to chew. Like the rat, once inside an attic the chaos begins. They chew on drywall duct work, pipes, and the most dangerous- electrical wires; causing potential fire hazards. Their urine and feces throughout an attic can cause the spread of disease, and respiratory issues. DISEASES CARRIED: HISTOPLASMOSIS, CRYPTOCOCCUS, TOXOPLAMOSIS, PIGEON ORNITHOSIS, ENCEPHALITIS, SALMONELLAS, CHLAMYDIOSIS, COCCIDIOSIS, ERYSPELIOD, NEWCASTLE’S, PARATHYPOID, PULLORUM, TRANSMISSABLE GASTROENTERITIS, TUBERCULOSIS, VIBROSIS, YERSINOSIS, ACARIASIS, SCHISTOSOMIASIS, TAENIASIS, TRICHOMONIASIS. Bird damage in affected areas cannot only be a nuisance, but become very hazardous. Addtional to the long list of diseases, birds also carry fleas, lice, mites and ticks. 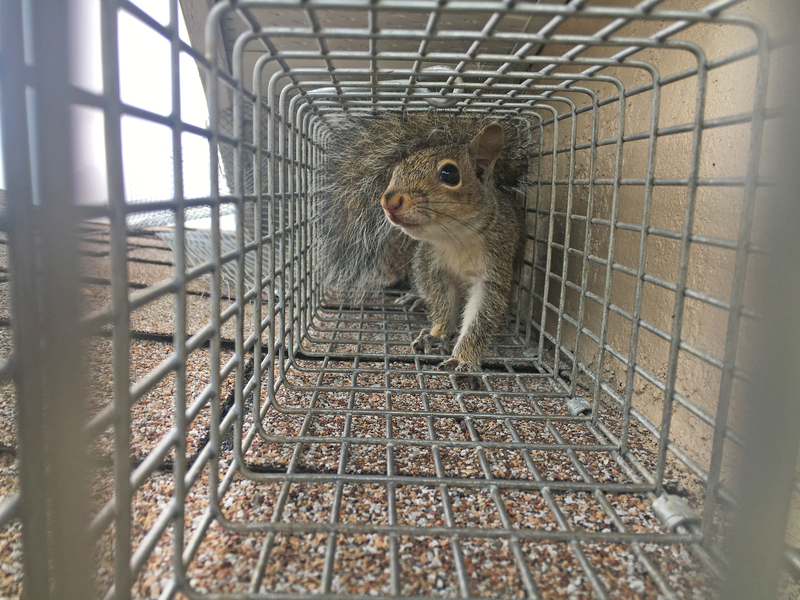 They often defecate in attics, sidewalks, driveways, or picnic tables- and it is their urine and feces that cause humans to be at risk to lethal, airborne sicknesses. Bats can be dangerous when in a home or building, they are usually found in attics or chimneys. They will leave feces and urine throughout insulation and soffit areas. Their feces, guano, allow the growth of histoplasmosis fungus. This fungus causes severe respiratory issues in humans. A bats scent is strong, and even if they leave the attic or chimney it will be attractive to other bats to roost there as well. Bees usually nest in trees and logs, but when having access to homes, they can construct hives in attics, walls, and crawlspaces. Ground-dwelliing bees will dig tunnels and lay eggs within dry and undisturbed soil. Since bees have a very important role in our environment, it is vital to relocate rather than destroying their hives. TRY REMOVING FLOWERS LIKE SUNFLOWERS, GOLDENROD, CLOVERS, AND CONE FLOWERS FROM YOUR LANDSCAPING OR GARDEN TO DETER BEES. Armadillos love to dig. They can create large tunnels throughout a lawn or yard, and burrow under houses causing structural damage. They can crack concrete, destroy pipelines, and uproot landscaping. The main concerns with this animal are the structural damage that they cause, however, they are also the only known animal susceptible to Hansen’s disease (leprosy). Damage from gophers is extensive. They burrow into lawns or yards, producing large dirt mounds, and their feeding habits can destroy gardens in very little time. You can find up to 50 gophers or more in heavily infested areas. Opossums are hosts to ticks, lice, fleas, and mites, as well as other diseases. They put dogs and cats at risk and occasionally are known to attack pets and sometimes humans. Opossums can do significant damage. They destroy duct work, rip apart electrical wiring, and ruin dry wall. Their urine and feces transmit an unbearable scent. The risk of illness and property destruction from opossums is cause for immediate trapping and removal. The majority of snakes found in the U.S. are not dangerous. In fact, there are 44 species of non-venomous snakes in Florida. They like dark, damp areas, and sometimes occupy deserted nests or burrows of other small animals. Snakes prefer living in places of close proximity to rodent or insect populations. In rural areas, they’re usually found in yards or properties, living under a home or deck, in swimming pools, or even more frightening to most population- inside! NON-VENOMOUS BITES USUALLY ONLY PRODUCE A PAINFUL PUNCTURE WOUND, AND HAVE ROUND PUPILS. Florida has 6 known venomous snakes residing in the state. They like dark, damp areas, and sometimes occupy deserted nests or burrows of other small animals. Snakes prefer living in places of close proximity to rodent or insect populations. The bite of a venomous snake can be lethal if not treated immediately. ALL VENOMOUS VIPERS HAVE TRIANGLE-SHAPED HEADS AND PITS BETWEEN THEIR EYES AND NOSTRILS.